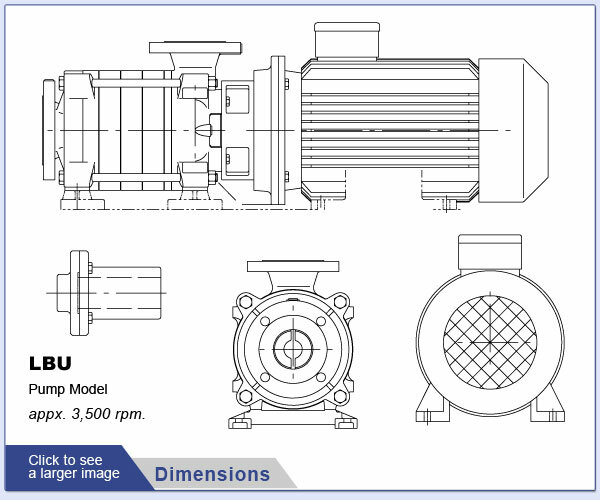 The EDUR LBU High-Pressure Multistage Centrifugal Booster Pump uses a horizontal, multistage design of multiple impellers in a segmented pump design on a central shaft to increase flow and pressure. 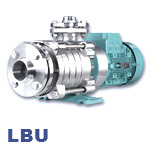 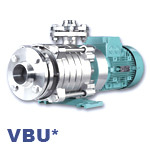 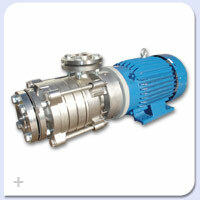 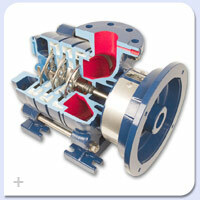 The LBU Series is a professional's choice for the pumping of clean and slightly polluted liquids. 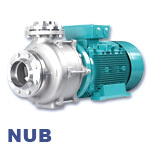 The benefits of the multistage design coupled to the reliability of the EDUR brand allows a wide variety of application industries such as booster systems, irrigation, boiler feed and water treatment and washing plants and dissolved air flotation (DAF) applications. 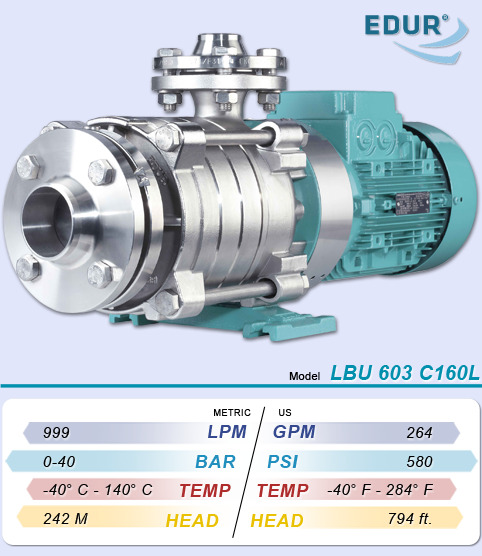 The segmental design of the LBU Multistage Centrifugal Pump comes in a traditional horizontal setup with Vertical options also available. 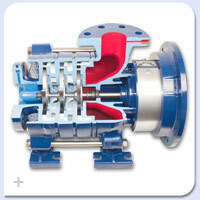 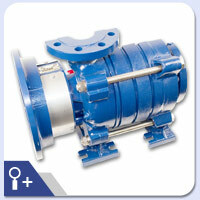 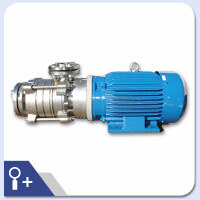 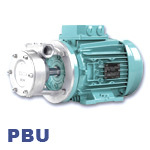 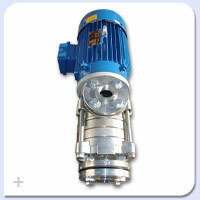 The LBU's compact design lets this pump go into many spaces a traditional multistage pump would not fit. 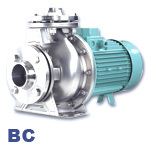 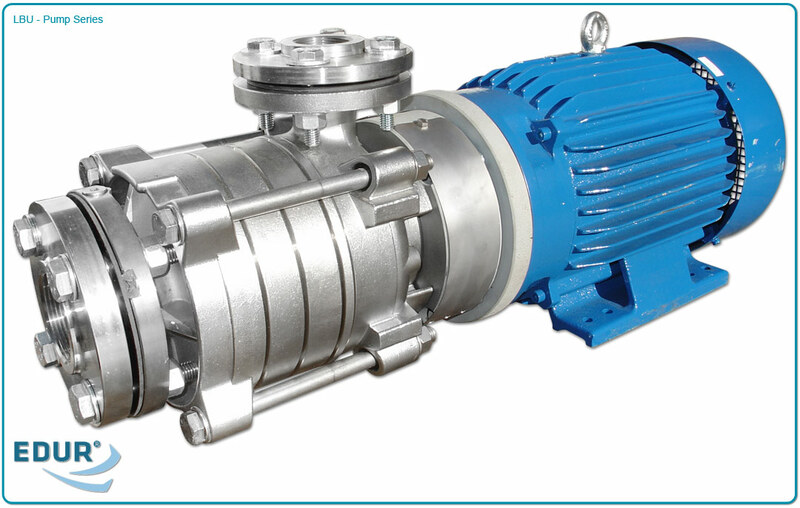 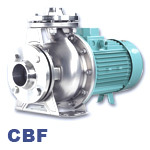 The design also allows for either single or double acting mechanical seals, gland packing or even magnetic coupling for your Multistage Booster Pump. 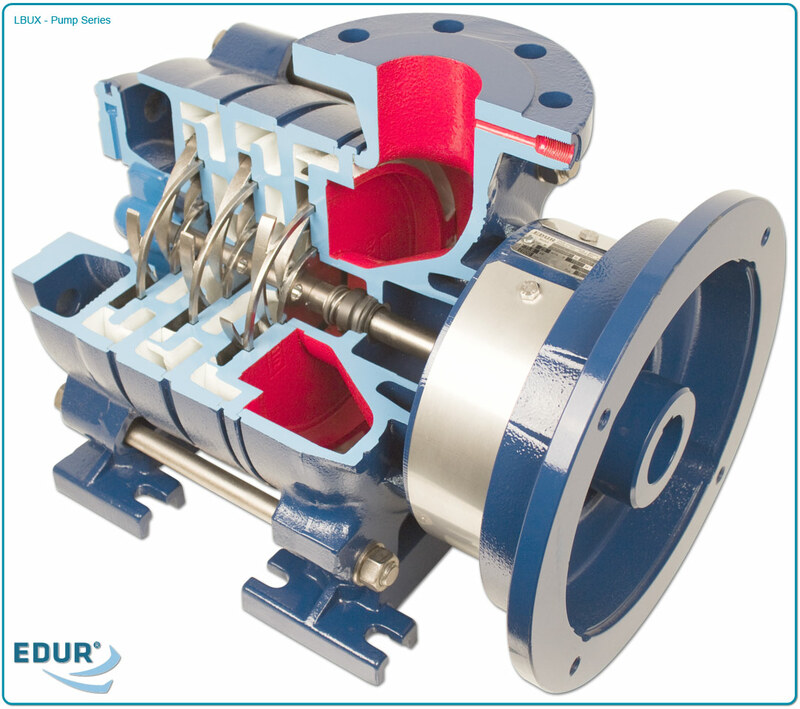 The flexibility of the design allows for many combinations to achieve the perfect flow and pressure rates for your pumping application. 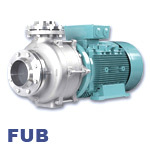 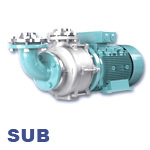 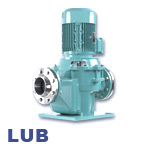 The EDUR LBU Series High-Pressure Multistage Centrifugal Booster Pump Series operates at differential pressures up to 580 PSI with a temperature range of -40°F to +284°F with a Viscosity of 115 centistokes with a maximum series flow-rate of 264 GPM. 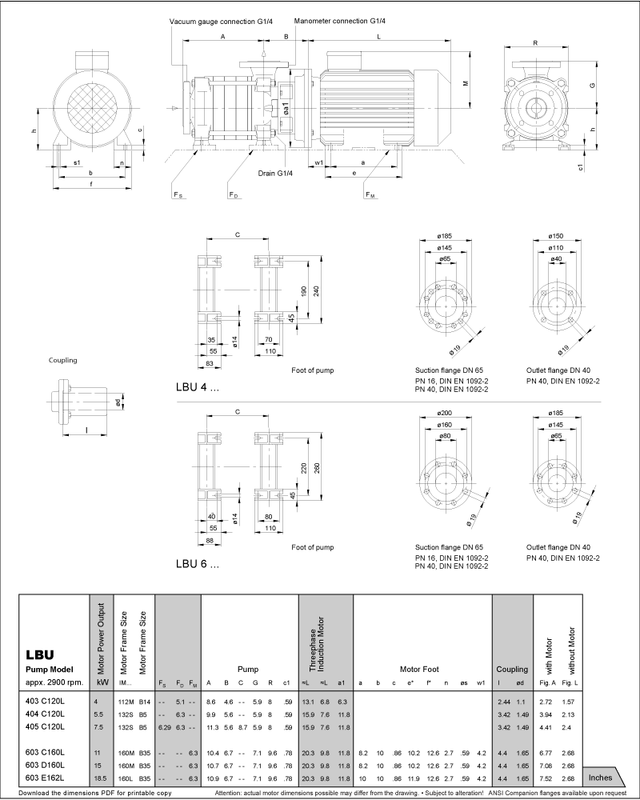 The LBU Series unique impeller design offers optional positions of its flanges as well as having the ability act as a liquid-gas pump by being able to transport gases within the liquids without cavitation. 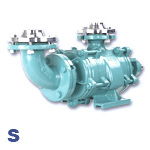 For more information about this gas-handling feature, please contact Shanley Pump and Equipment, Inc. 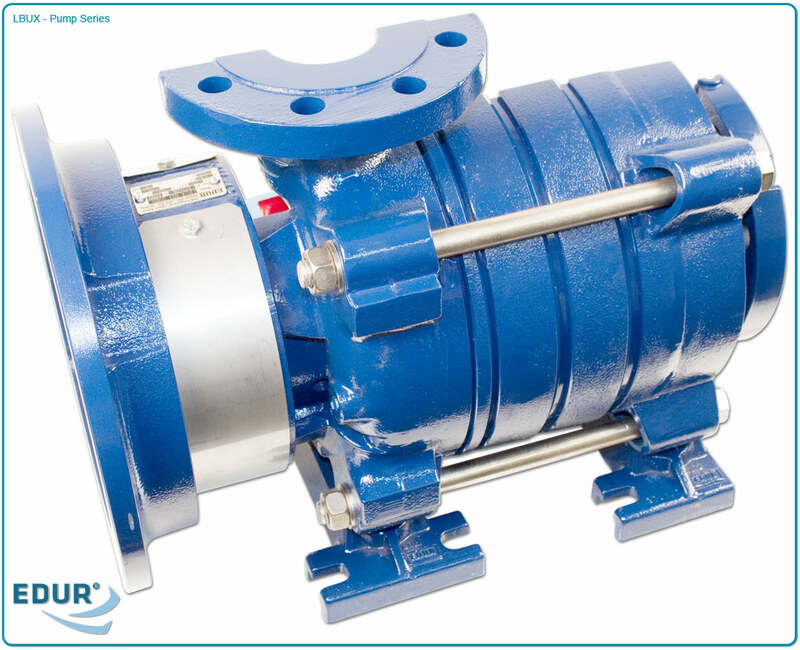 The LBU Series is available in Cast Iron, Bronze, Stainless Steel, and super duplex stainless steel for your pumping application needs. 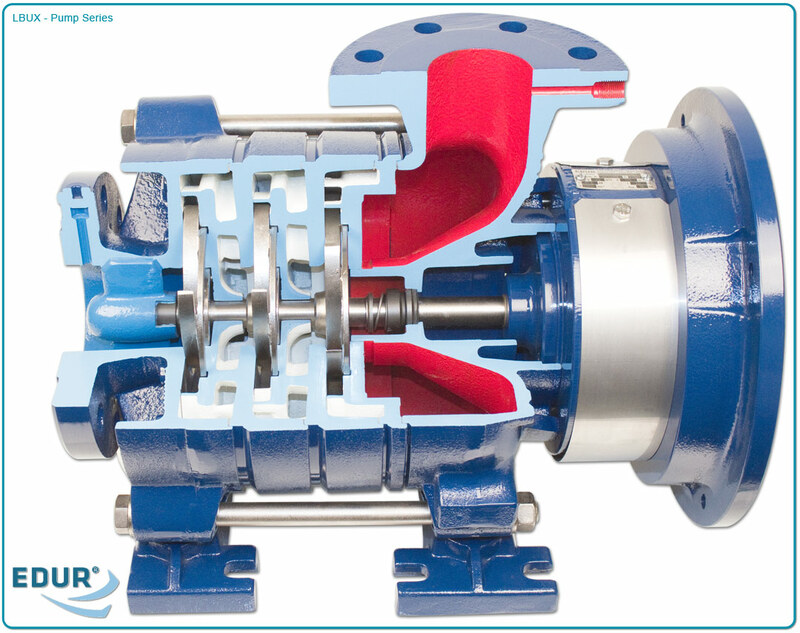 If you are unsure which EDUR LBU Series High-Pressure Multistage Centrifugal Booster Pump is the right style for you, please ask your Shanley representative for more information to help you make the best selection.